You’ll always find the cheaper price quote, but not all house painters do painting right. Be wary and be informed of what to expect when you are hiring a painting company . There is a huge difference between professional painters who will efficiently paint any room in your house and those that give you the lowest bid to get the job but then just cut corners. When they cut corners we don’t necessarily mean they do it professionally and of value to you the homeowner, they do it because it is more profitable to them and their absolute lack of knowledge and experience in the house painting and repainting industry. When the results are substandard why pay someone when you can paint it yourself. 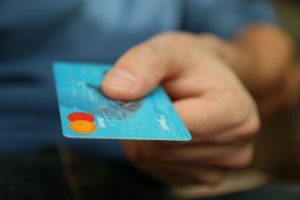 We want to share a few tips to make you aware and informed on how to know if you are getting ripped off or scammed by a painting company. Be aware of the following list of common short cuts, painting estimates over or under, and cutting corners by painters who are not in it for the craftsmanship, they just think it’s easy money, where all that’s needed is a paint brush, paint roller, paint pan and a vehicle and they instantly claim to be professional painters, yet they lack the skills. The following is a list of some of the ways we have seen and heard from homeowners who have unfortunately hired the inexperienced painters and then left completely unsatisfied with the end painting result. Some interior painters will not do any pre painting preparation work which is key to a professional end result, therefore not all painters do painting right. Dishonest and unskilled painters will most likely cut the corners on this. When they bid on the painting job they will conveniently leave out the repairs required to attain a smooth surface before painting. There are steps on how to prepare a room before painting to be followed in order to ensure the best interior painting result. 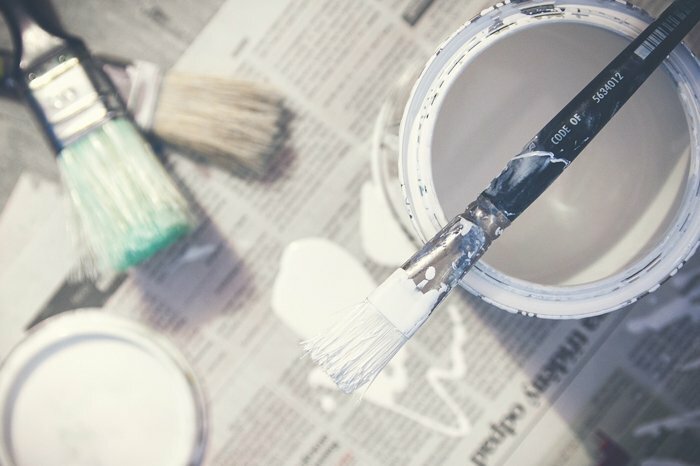 Some painting contractors will omit the pre painting scope of work in their bid/quote and once they’ve obtained the job you the homeowner may assume that it’s included, but when you start to notice that certain things are not being done, like patching, sanding, caulking you question the painter. The answer you will get is …. that will cost you extra. Then they will give you another estimate that includes the drywall repairs and other pre painting prep work and now all of a sudden that great cheapest quote the homeowner obtained is jacked up a few extra hundred dollars. Kind of leaves a little bitter taste for a homeowner who entrusted this painting company in their home. The cost of buying paint changes when you choose different brands to start with. Each paint manufacturer charges different prices. From the more bargain brands to the higher end paint products the difference is in the texture and the look of the end interior house painting result. We recently had one of our clients tell us that she came home to her freshly painted house and instantly noticed the difference with the builder’s paint that was used when the new house was built with the quality paint product we used in painting the entire interior of her home. She noticed it was smoother to the touch (of course our drywall repairs and sanding helped bring the smoother finish). She recalls running her hands through the builder’s paint and it felt grainy almost as if it was sanded but never repainted. She now notices how smooth the quality paint product we used feels and just simply looks brighter and better because of the quality in paint and the painter. The differences in the prices of paint will vary by a few factors. The cost of upgrading from flat paint finish to a higher paint sheen will vary per gallon. The least expensive paint finish is the Flat. Next comes the middle line which is usually matte flat or eggshell, then Satin, Semigloss and highest in price is the Gloss Paint finish. The paint colour you choose will affect the price as well. The price of a white paint or neutral paint colour to the cost of buying a darker paint colour such as a deep blue, gray or red will be a little more expensive due to the amount of tint to be used to get the deep dark rich colour. The line of paint product you choose will affect the cost. Every paint brand has it’s lower end (least expensive) to their top of the line paint (most expensive). Your choice depends of course on your budget. We always include the middle line in all of our house painting estimates. 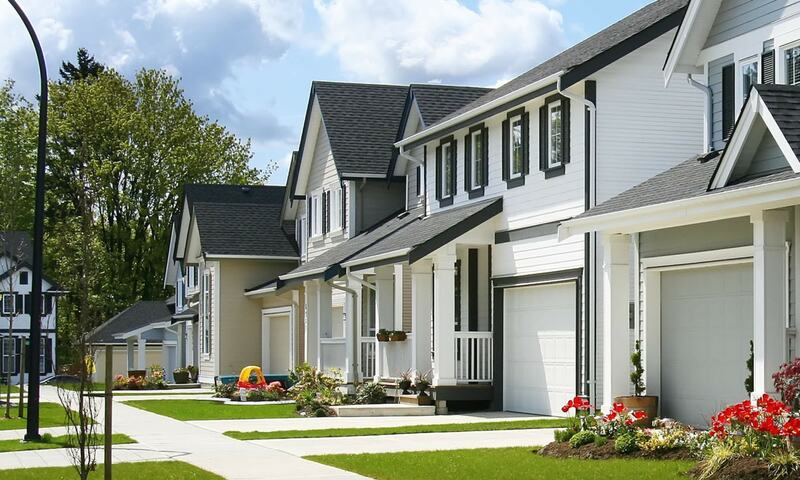 When you are hiring a painting contractor, ensure both you the homeowner as well as the painter are all clear when discussing your home painting project at the meeting for the estimate and consultation . Don’t be surprised if you hire a painter that tells you your $500.00 will cover painting 2 coats of paint on your walls. After you have selected your paint colours and paint finish, the painter will go ahead and purchase the paint in the colours you have selected. An inexperienced painter will only find out how expensive the deep base colours you have chosen are once he places the order at the paint store and it not what they quoted for. In order to have better coverage and ensure that the 2 coats of finish paint cover all the walls properly, it should have a good base. Using a dark gray primer paint coat before painting in a deep blue, red or gray for example will add additional costs. The deep base paint primer is expensive and now the original $500.00 quote you received to paint that room you received from the painting contractor has increased because the painter is not making as much money he originally though and will almost be out of pocket by the time they are finished painting. After purchasing the paint and any other materials needed their end profit is dwindled, so expect to be asked for more money. Sometimes issues such as the painter didn’t purchase enough paint to ensure complete and proper coverage of final paint coat, will increase that initial painting estimate. 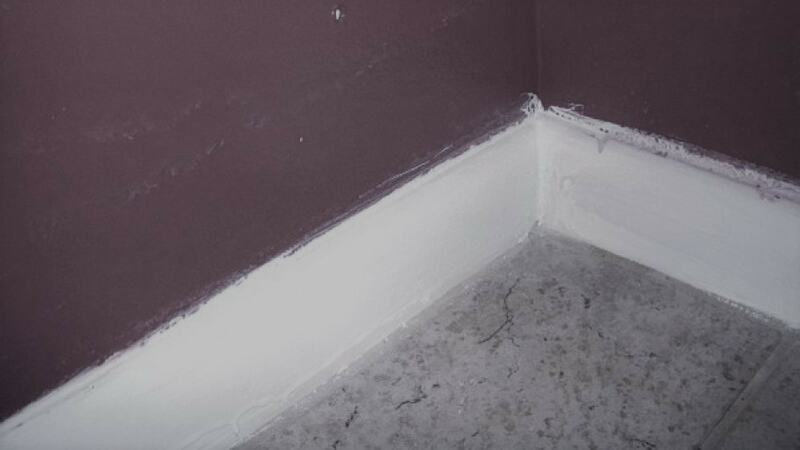 Do Not be surprised if an inexperienced painter who didn’t calculate the condition of the walls and the paint colours you have chosen tells you that the 2 coats you were quoted did not complete the job and the third coat is going to cost extra. That third coat of painting will be more expensive to what you originally budgeted for. Ensure everything is discussed and covered in your painting estimate / quote with the painter and that there are no additional surprises. Everything the painter will do should be quoted on the house painting estimate where both the homeowner and the painter accept the quoted price. The only time the painters should add on additional costs is if you the homeowner make changes to anything that was pre-discussed and not in the painting quote. When hiring a painter, follow these tips to ensure you choose the right one. Ask the painter if they don”t already tell you up front how many coats of finished paint will be applied to the walls. Some painters will never say it not verbally and not in writing anywhere, so therefore you are safe to assume it will only be 1 coat. If the new paint colour is the same or very close to the one that is already on the walls then it’s easy for some painting companies to get away with just one coat. Read the estimate/quote the painters give you. Some will simply state they will paint the walls, never specifying how many coats of paint they will apply. As well make sure that it is stated whether the ceilings, trim, baseboards and frames are or are not included. If you did want the ceilings etc painted but it was not specified in the painting contract than assume they will be charged extra. One coat of paint never gives you a perfect end result. No matter how you try to walk past it or pretend not to see it. There will be tiny air holes, you’ll see the paint strokes and roller marks from just the one coat. A completed painting project should always include 2 coats of finish, for a smooth look and complete coverage. Sadly there are some dishonest house painters, who ruin it for the reputable and trusted ones who have been around for years or for those who are in it with their hearts and it shows in their craftsmanship. The cheating painters will try to pull these scams over the eyes of homeowners who are not informed or who are over trusting. Here’s what you need to be aware of from some painting companies who scam you on the materials they use. At the painting estimate/consultation meeting with the homeowners the painter will up-sell the project by telling you they will use the premium paint. Top of the line it’s called on the industry. They will of course charge you the premium price in the quote as well. Sadly what some of them do is pull a bait and switch trick, meaning they charged you the premium paint price to get the job. Then they purchase only one or two gallons of the premium paint cans and 1 or two or more (depending on the size of the interior painting to be done) of the cheapest and lowest quality grade of paint they can find in the five gallon pails. Where they scam you is the two premium quality paint cans are always visible to you the homeowner, but the bigger 5 gallon pails they will secretly use to refill the better paint cans. So to you the homeowner it seems like they are using the paint you paid for (the higher end paint), but they are not. Paint manufacturers already allow for approximately a 25 to 50 percent water amount mixed into the paint before it’s even purchased. It’s just the way paint is made to make it more environmentally friendly and No VOC hence the name water based paints. Keep an eye on the painters, who will add more water in order to double up the coverage at lesser cost to them but it’s not what you paid them for. When more than the manufacturer’s amount of water is added to the paint it will be very susceptible and prone to easily chip, peel and crack. The only time that it is forgiven to add extra water to paint is when you are painting with a very deep base colour of paint. Because the deep dark paint colours are entirely composed of tint which makes the paint thicker than normal and hard to work with if a little additional water is not mixed in. This helps reduce its stickiness, although today’s paint technology corrects this issue with most higher end paint brands. Painter’s tip: Look at the new cans being used. If they have paint on the rim then they’ve been reused. The five gallon pails are being poured into the smaller one making it seem they are using the paint you ordered and are paying the extra for. If they are using the ones you did pay for in the five gallon pails just take a peek at the 5gallon bucket and make sure that the lid is sealed. You can easily notice if that big bucket has already been used and reused. There will not only be paint prints on it from other uses but a new 5 gallon pail of paint has a secure seal and sometimes even a plastic wrap around it. Be informed before you agree on any painting estimate. Know what kind of paint will be used. Ask what paint brand will be used by the painters. If you do not agree to it then you ask for the paint brand/product you want the painting of your house done with, after all you are the buyer. 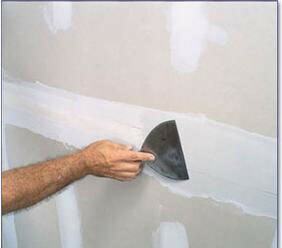 Be informed and prepared so that you will know if you are being scammed or ripped of by a disreputable house painter. 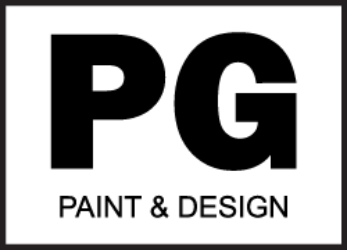 As a homeowner and consumer you have the right to ask a painting contractor any questions. Ask if included in the price of painting that there will be the pre-painting preparations included such as drywall repairs, patching, sanding, caulking. Make sure that if you want the ceilings, baseboards, trim, frames, doors, cove, crown molding or any other type of wood work is included in the price of the painting quote. Of course if you just want the walls painted then make sure they are not over charging you. Some disreputable painters will not include the aforementioned steps, yet they will provide you with the lowest bid to get the painting contract. So you think you have everything you were looking for covered but in the end when the painters are painting in your house and you ask them why did they not patch or repair that drywall, fill that nail pop/hole, caulk around any seam of baseboard, trim or window frames they will flat out tell you it’s not included. What do you do at that point pay the extra? You can, but if they’ve already painted the primer, or one or 2 coats of paint finish, then they can either repair the small drywall patch and a touch up painting or they’ll have to start that area of wall or entire room by repainting it over again after patching repair, sanding is completed. Of course they will be charging you more again and in the end you are getting more and more frustrated again. We hope you never run into or have to deal with cheating and disreputable painters as there are more of the ones who are professional from start to finish, do it with heart and craftsmanship than there are of them. Please share this information on How To Know if You Are Getting Ripped of by a painting company or a house painter so that others will be informed. 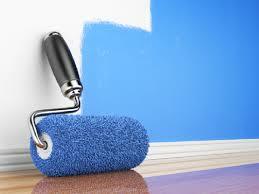 If you have any questions related to house painting services simply contact us.